Motorola's new phone has an impressive trick up its sleeve. The Moto X Force is shatterproof, so its screen should be able to survive falls onto even the hardest of surfaces. That's nice to know, since it also costs upwards of £499. It achieves this by using Motorola's clever new Moto ShatterShield technology, which is made up of five layers to absorb shock and prevent the screen from shattering. The screen is just the start though, as the Moto X Force sounds impressive in numerous other ways and like a real rival to the Moto X Style. It should be just as powerful for one thing, with an octa-core Snapdragon 810 processor and 3GB of RAM. It also has the same spec camera, with a 21MP sensor on the back and a 5MP wide-angle one round the front. The screen is smaller at 5.4 inches, but it's still QHD, achieving a super sharp 540 pixels per inch and with 32 or 64GB of storage plus support for microSD cards of up to 2TB there's plenty of room to enjoy all your apps and media on it. 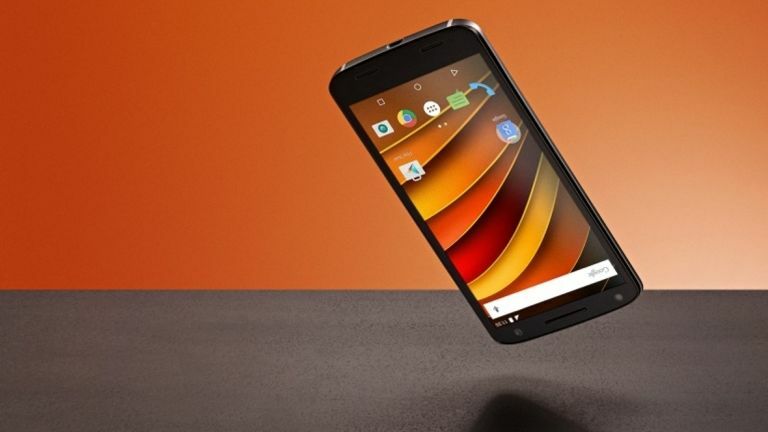 The battery is worth highlighting too, as the Moto X Force has a massive 3760 mAh juice pack. That's even bigger than the one in the Moto X Play and Motorola claims it gives the phone up to 48 hours of life with mixed use. Getting it juiced up again needn't be a chore either, as just a 15-minute charge can supposedly give it up to 13 hours of life and you can even charge it wirelessly, though not at the same speeds. The Moto X Force is hitting stores in mid-November and in true Motorola fashion it will be heavily customisable, with a choice of pebbled leather or ballistic nylon for the back in a range of colours. An aluminium frame holds it all together and you'll be able to pick the colour of that too. It's even water repellent, making it that little bit more durable. We'd still put it in a case, but that's just us. We've broken too many phones to ever feel safe again.